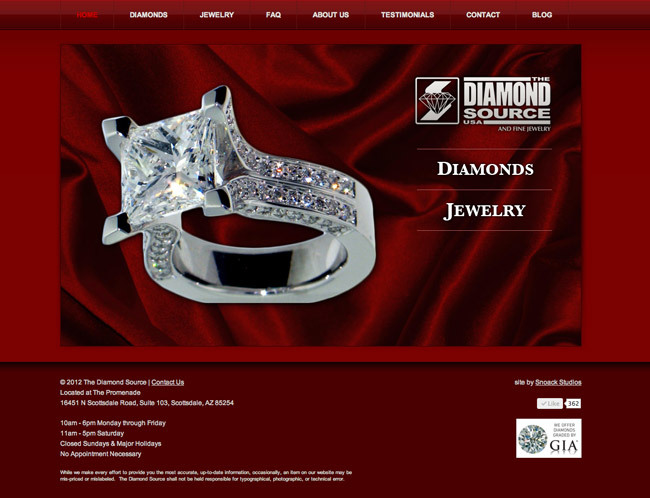 A diamond and jewelry store in Scottsdale, Arizona, they needed a classy site to match their quality products. Their site now features a full jewelry shopping cart that is searchable and categorized by jewelry type to make it easy to find what you’re looking for. Diamonds are listed in a table and categorized by shape so customers can scan through quickly and easily. The color palette is pretty dark with mostly brick red hues dominating, creating a bold and unique site design.